Collects Cable (1993) #32-39, X-Force (1991) #57-61, Incredible Hulk (1968) #444, X-Man #18-19 And X-Force/Cable Annual '96. 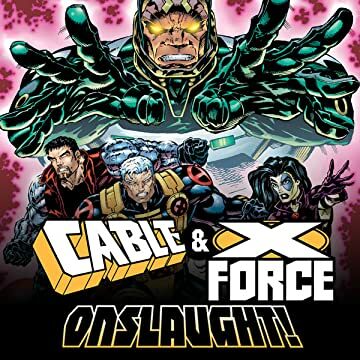 Onslaught has struck — and now Cable and X-Force must strike back! Cable is on the hunt for the monstrous menace's true identity, but standing in the way is the Incredible Hulk! Meanwhile, X-Force tries to protect Cable's "brother," X-Man, from Onslaught — but Mister Sinister wants him too! And to strike at Onslaught, Cable must team up with his mortal enemy: Apocalypse! 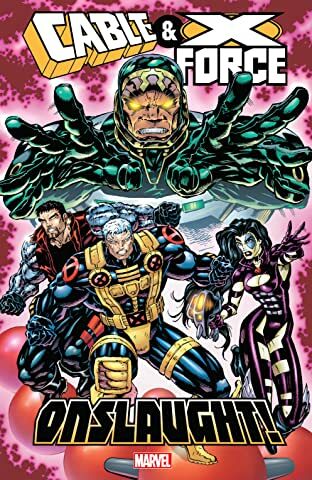 In the war's aftermath, Cable's techno-virus is out of control, and his life hangs in the balance. Can he pull himself together in time to help Domino save their old "friends" Garrison Kane and Copycat from the maddening Psycho-Man? Elsewhere, X-Force must survive the madness of Mojoworld — and unravel the mystery of Shatterstar's true identity!